Remember those candy buttons you used to eat as a kid? Well, I used to eat as a kid…I was thinking how cute it would be if they had Valentine’s Day themed buttons in pink and white. The more I thought about it the clearer it became to me how easy it would be to make them. Candy buttons are really just a processed form of royal icing, which has a grand total of three ingredients (four if you want to add flavoring). So this past weekend I gathered my piping tips, my powdered sugar, my mixer and…finished the whole project in less than an hour. 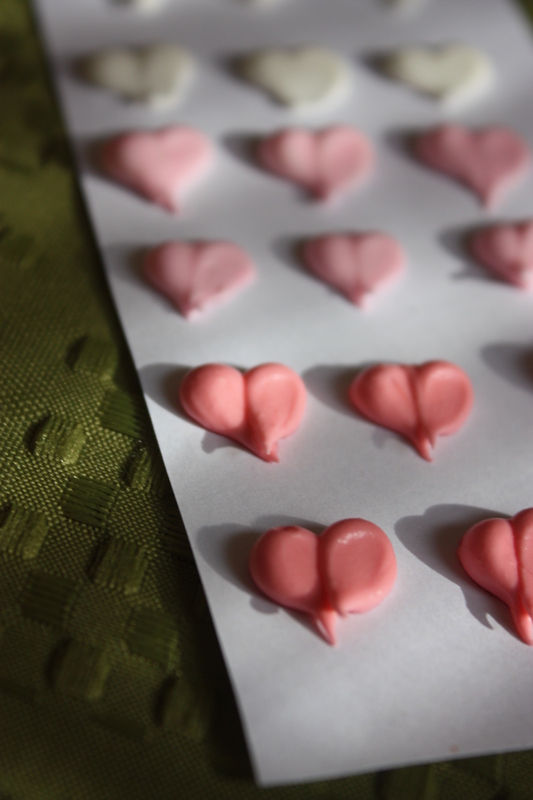 For your Valentine’s Day pleasure, I give you, Candy Buttons Hearts.